Is the lack of health insurance affecting your health? To make matters worse, many people who are injured at their job site or in a car accident might be afraid to obtain medical treatment due to out of pocket expenses. However, delaying medical care for fear of bills can lead to increased medical costs due to health complications, creating more financial difficulties in the long term. “Too many times I’ve seen patients whose pain progressed unnecessarily. Many conservative treatments are available after an accident; I prefer to see folks as soon as possible. In Georgia Spine & Orthopedics we treat many uninsured patients. ” says Erik Bendiks, MD Owner and Medical Director of Georgia Spine & Orthopedics. Obtaining help as soon as possible and working with health providers like Georgia Spine & Orthopedics quickly after your injury may help prevent future complications that may result from untreated injuries. Georgia is deep into the health crisis. Historically, Georgia ranks among the five worst states in the nation with the largest amount of people without health insurance. According to the U.S Census Bureau, 12.5% of the population is uninsured. Furthermore, the deterioration of the health system is such that many rural hospitals have been forced to close. If you have been injured at work, your employer is often responsible for your medical treatment. On the other hand, if you are involved in a car collision, the insurance of the person at fault is often responsible for paying for the health procedures that you might require. This will be you when you find out that you don’t have to pay for your medical expenses when injured in an accident. Likewise, undocumented immigrants who are involved in a car accident or are injured at work put their health at risk because they are afraid that if they report the incident or seek medical help they might face legal problems. However, the undocumented immigrants should not be afraid, on the contrary,it is their right to receive medical attention. It is illegal to threaten individuals to prevent them from seeking help. 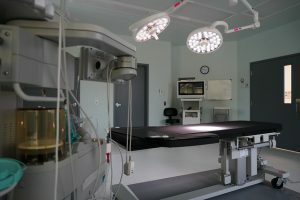 In spite of the healthcare crisis; healthcare institutions like Georgia Spine & Orthopedics seek to change this situation for thousands of people who do not have insurance. 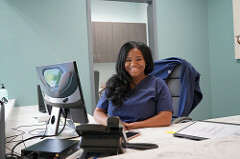 Since 2015, uninsured patients have qualified to be treated at Georgia Spine & Orthopedics, receiving the best attention by medical specialists who can help to relieve their pain. If you don’t have health insurance our team at Georgia Spine & Orthopedics can help you find solutions to avoid expenses. File a report of the accident or injury at work and take pictures of the incident if possible. Check with your doctor to see if you can qualify for treatments under auto insurance policies such as Medpay. Remember, if you do not have insurance, seek medical help without fear of expenses. Know your rights. Undocumented workers who get injured can get medical attention. If you are a Georgia resident, contact Georgia Spine & Orthopedics for a complimentary medical consultation. Complete documentation of your medical history and ask your doctor about your health concerns and financial costs. If you have been injured and would like to consult with our providers on your personal situation and programs available to you, please call us at 404.596.5670 or email to Info@GaSpineOrtho.com. Our team is dedicated to helping you to navigate these situations. Our providers have a combined 60+ years of experience providing care for the injured and we focus first on conservative care. Should your injury require surgery, we have you covered there as well. Regardless of your legal status, we’re here to serve you as part of our community. At Georgia Spine & Orthopedics we have a team of professionals so your pain caused by accidents can become part of the past. Georgia Spine and Orthopedics has a variety of treatments starting with conservative options (medications, therapy) and progressing to full surgery if needed. We offer a variety of injections and perform surgery in our outpatient surgery center in Roswell, GA. The center offers the expertise of physicians and surgeons Dr. Erik Bendiks, Dr. Jeffry Dressander, and Dr. Daryl Figa.